In the statement, Infectious Diseases in Children, editorial board member Paul A. Offit, MD and others said any legislation being considered should contain certain provisions; notably, that parents who are claiming exemptions be given counseling about the importance of immunization to their own children, as well as to the community overall. Unfortunately they are not talking about genuine counseling but instead forced propaganda brain conditioning sessions. These are the terrorists I wrote about in my free e-book The Terror of Pediatric Medicine and now also in Humane Pediatrics. It was sad for me, tragically so, that Fukushima happened the week I launched both my pediatric site and this new book, which creates a new paradigm for the practice of pediatrics and the care of the very young. Most of the officials and pediatric organizations are staffed with human beings of questionable character and integrity for they cherish their poisonous vaccines more than life itself. Dr. Offit and all these others are the ones who need counseling about how to return to a humane state of consciousness. That really is, for all practical purposes a real impossibility, so I am not sure what should be done with the lot of them. “The primary reason cited by parents who are reluctant or who refuse to vaccinate is concern over safety and efficacy of vaccines. 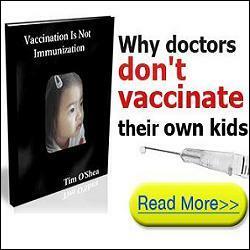 Lack of trust in the government, the perception that their children were not at great risk and that vaccine-preventable diseases were not severe are additional reasons often given by parents,” goes a vaccinationist’s propaganda article. 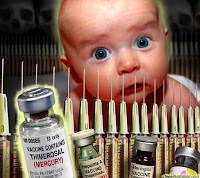 On May 4, 2011 a new study by Neil Z. Miller and Gary S. Goldman was published online by SAGE, entitled “Infant mortality rates regressed against number of vaccine doses routinely given: Is there a biochemical or synergistic toxicity?” This study is another in a long line of studies revealing evidence showing the more vaccines a baby receives, the more chance they have of dying from sudden infant death syndrome (SIDS). Newborn babies are the most vulnerable of all beings. Vulnerability says it all when it comes to a newborn infant. It is easy to hurt most beings but little babies are the most vulnerable and the easiest to hurt. Parents are of course vulnerable to their infants vulnerability but most pediatricians would just squash both parents and their infants in their mania to vaccinate—to inject poisonous substances and heavy metals directly into their bloodstreams. Children deserve the best medical treatment from the best form of medicine human intelligence can implement. What they get is the worst. Pediatricians start attacking babies almost the minute they come out of the womb. They are monstrous beasts and perhaps that label is too kind. One of the reasons civilization needs to crash hard is that these arrogant ones need to be extinguished from the human experience, purged from civilization so we can regain our humaneness. Many pediatricians refuse to offer services to parents who only want partial vaccines or who refuse them altogether, according to Infectious Diseases in Children editorial board member and practicing pediatrician, Richard Lander, MD. “At issue is the parents’ rights vs. that of the community or that of the minor,” Lander said in an interview. Lander thinks he knows what is best for the community and for minors but his assumptions and perceptions are based on a cruel arrogant type of medical consciousness. Doctors like Lander have both closed hearts and closed minds and cannot entertain the possibility that they have been terribly wrong about the vaccine question. Dr. Stan Block says, “All of us in pediatrics know the routine for the two-month-old checkup. Perform the routine history and physical examination. Dispense routine advice. Administer routine vaccines. Then the impasse begins. About 75% of parents are totally respectful of and adhere to our immunization recommendations.” The remaining 25 percent are scared witless of the dangers and side effects that pediatricians insist are not there but actually are there according to formal statistics in the government’s vaccine damage database. After all, the government pays out billions of dollars to parents whose children have been severely hurt by vaccines that your local card-carrying pediatrician will swear to his or her last breath are safe. 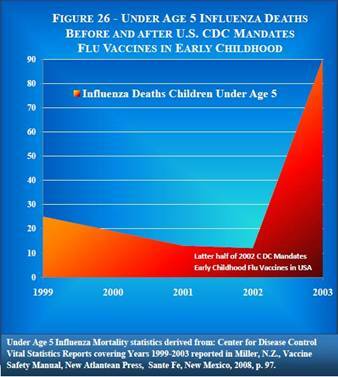 Suspicious parents can be reassured of vaccine safety with proper communication strategies, openness and empathy. There are four types of parents when it comes to vaccines: 1) believers—those who believe vaccination is safe and necessary; 2) relaxed—those who are cautious but still trust their physicians; 3) cautious—those who don’t really have a problem with vaccines until seeing media coverage or speaking with friends; and 4) the unconvinced—those who staunchly believe that not getting vaccinated is in the best interest of their child. Pediatricians should target the cautious parents, who are typically scared but respond to education efforts. Many parents have been put off by physicians whom they felt were condescending. Physicians must maintain proper and sensitive communication habits despite time constraints with each patient. Break down their fears and see where they’re coming from. Fewer and fewer parents are asking about specific vaccines and instead have this global, vague mistrust. If you ask them to specify their fears, you can respond appropriately. Many doctors sink to the level of using openness and empathy to try to manipulate and trap parents into doing something against their child’s best interest. If they are fooled they might then have to regret that for the rest of their lives if their child suffers harm. There is no appropriate response to vaccine fears because they are too be greatly feared. 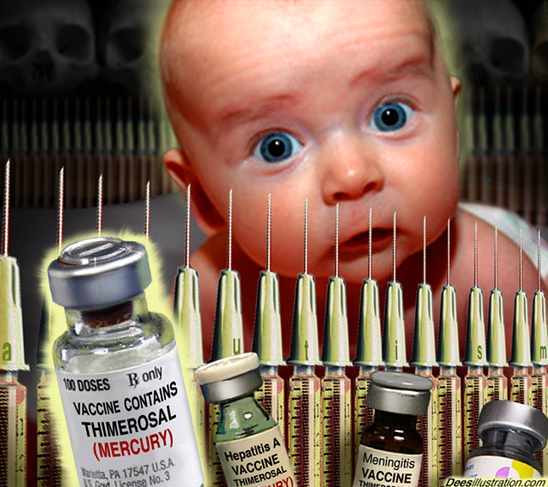 Only an absolute animal of a person would inject ethyl-mercury or aluminum directly into the bloodstream of an infant. Parents who are fooled are not to be blamed for mostly they are mislead by their pediatricians who need the money more than they need integrity, honesty, and humility—all humane qualities being deliberately thrown out the window in medical school. The most effective pitch for a vaccine is one that is emotional and personal. You can throw out all the science and data and research, but at the end of the day, what really makes families comfortable is that you yourself are vaccinated and that you vaccinate your own kids. You must reassure your patients that you wouldn’t do anything different. I have heard many stories through the years about doctors who do not vaccinate their own children but do it to other people’s kids. The vaccine controversy seems to be a never-ending one. It is obvious from how pediatricians write that they are 100 percent sure that they are absolutely and undeniably right. If one studies the question hard enough it becomes evident that they are terribly wrong. To test that, all you have to do is present some hard evidence to your pediatrician and see how hard he or she hits the ceiling or bounces up against a wall. Confronting an oncologist or a pediatrician with solid information against something they adamantly promote immediately dissolves their smiles and empathetic nods, and they get downright mean. Their dark side surfaces and you can see they are not to be trusted with your children’s lives. “‘Sixteen jumbo jets crash killing everyone on board, 6,500 lives lost.’ Can you imagine that headline—everyone would be talking about it there would be a public outcry. Well, in the UK, at least 17 babies die every day; that is every day; almost 6,500 babies die every year. Where is the public outcry? There is none because they are babies; there are only platitudes and promises the next time will be different,” write Colette Murphy and Jo Hart. Malnutrition, lead poisoning, vaccines, inappropriate medical care, violence, drugs, incarceration, HIV, and poverty wreck many postindustrial U.S. cities, all leave tiny victims in their wake. I don’t know how many children around the world die or are damaged by vaccines every year but we know that number to be quite substantial. The steady escalation in the number of vaccines administered has been followed by an identical rise in the incidence of autoimmune diseases (rheumatoid arthritis, subacute lupus erythematosus, psoriasis, multiple sclerosis, asthma) seen in children. While there is a genetic transmission of some of these diseases, many are probably due to the injury from foreign protein particles, mercury, aluminum, formaldehyde and other toxic agents injected in vaccines. Interestingly, this week the U.S. National Institutes of Health said that the strong-smelling chemical formaldehyde causes cancer. The NIH said Friday that people with higher measures of exposure to formaldehyde are at increased risk for certain types of rare cancers, including those affecting the upper part of the throat behind the nose. Dr. Mark Sircus is a natural health expert and self-sufficiency advocate. He is the author of several must-read books including titles such as Survival Medicine For the 21st Century, Winning the War on Cancer, and Humane Pediatrics. 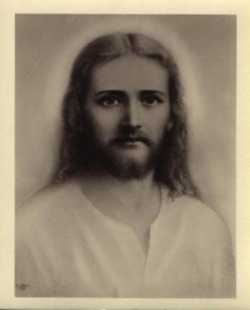 You can find all of Mark's informative articles at his website IMVA.